Mother Williams transitioned from labor to reward on Monday, April 9, 2018 at the UNC Lenoir Health Care Center in Kinston, North Carolina. She was born in Greene County, North Carolina on May 18, 1927 to the late Mr. Andrew Moore and Mrs. Minnie Mercer-Moore. She received some education in the Greene County public school system. 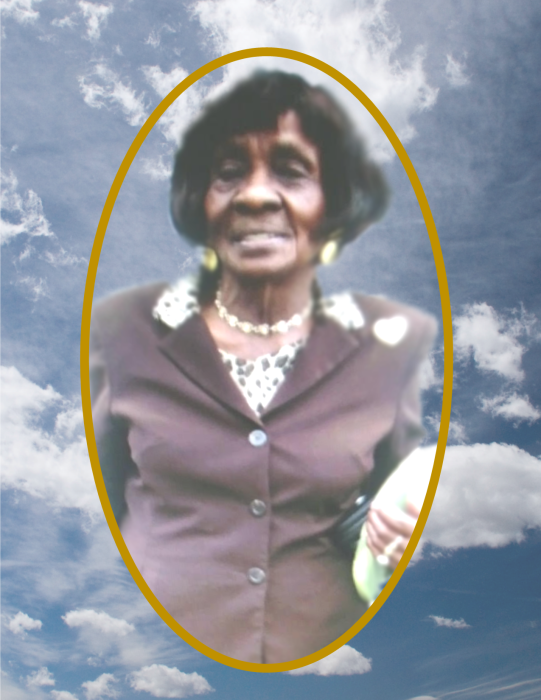 Mother Williams was a faithful member at the Saint James Church of Christ, Disciples of Christ Church where she sang in the choir for many years and she served on the church Mother's Board under the leadership of her Pastor, Elder John E. Ruffin. Mrs. Williams was preceded in death by her parents, Mr. Andrew Moore and Mrs. Minnie Mercer-Moore; her son, Willie Moore; her daughter, Virdy Mae Maye; her sisters, Estella Baker, Pauline Harris, Maybelle Shelley and Captoria Burton; her brother, Roy Moore. A celebration of life service will be conducted on Saturday, April 14, 2018, at 12:00 p.m. at the Saint James Church of Christ, Disciples of Christ Church, 401 West Queen Street, La Grange, North Carolina. Elder John E. Ruffin will officiate. Also, one hour prior to the celebration of life service, a public viewing will be held on Saturday, April 14, 2018 from 11:00 a.m. to 11:50 a.m. in the Saint James Church of Christ, Disciples of Christ Church, 401 West Queen Street, La Grange, North Carolina. Mother Williams leaves to cherish her loving and precious memories to her children; Sarah Dawson of La Grange, North Carolina, Gail Sutton and Shirley Farkas both of Temple Hills, Maryland; her 20 grandchildren; her 25 great grandchildren; her 10 great-great grandchildren; a host of nieces, nephews, cousins, other relatives and friends. On Saturday, April 14, 2018, the family members and friends will assemble at the residence of Mrs. Lossie Mae Williams, 115 Springhill Street, La Grange, North Carolina at 10:00 a.m. in preparation for the funeral procession. Flowers may be sent to Britt Funeral Home and Cremation Service, 414 East Washington Street, La Grange, North Carolina, beginning on Friday, April 13, 2018 from 10:00 a.m. to 4:00 p.m.